Can Bernie Sanders run as a Democrat in New Hampshire? Independent Vermont Senator Bernie Sanders may be polling second to Hillary Clinton in New Hampshire, but it's not clear voters there will get to see his name on the ballot next to hers. Charles Bass, a former Republican congressman from the first-in-the-nation primary state of New Hampshire, knows his way around the state's presidential election laws - he helped write them - and he harbors doubts about Sanders' eligibility for the Democratic primary ballot. In a Washington Post op-ed published Thursday, he declared,"Sanders is not a Democrat, has not been elected as a Democrat, has never served as a Democrat and cannot plausibly claim, at least in New Hampshire, to be a Democrat." While Sanders caucuses with Democrats in the Senate, the independent senator may have trouble qualifying for the Democratic ballot in New Hampshire. "State law makes clear that candidates must be registered members of the party on whose ballot line they wish to appear," Bass explained. "One might ask why the good senator can't simply change his registration in his home state from socialist or independent to Democrat. 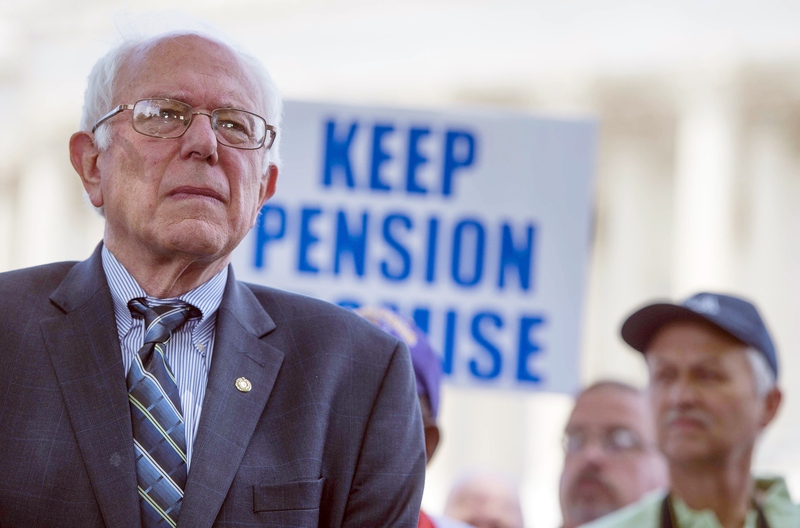 The answer is that Vermont doesn't have a party registration system, so he can't." Bass went on to point out that Al Gore and George W. Bush also ran into this problem because Tennessee and Texas also do not register voters by party. But Gore and Bush were each able to show that they had appeared on ballots as a Democrat and Republican, respectively. Sanders, on the other hand, won the Democratic primary in Vermont, but he declined the nomination and asked that his name not appear on the general election ballot as a Democrat," Bass said. So when Sanders shows up in New Hampshire at the secretary of state's office to file his papers for the Democratic primary, he shouldn't be surprised if his candidacy is challenged, Bass says. But he speculates that Sanders could get a boost from the Clinton campaign, which is far more likely to want to face him in New Hampshire in the Democratic primary, than in the general election if he's forced to run as an independent.